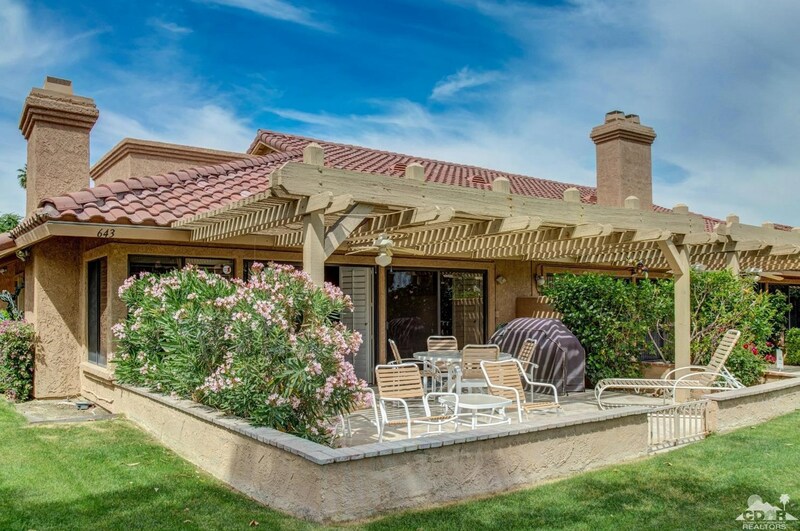 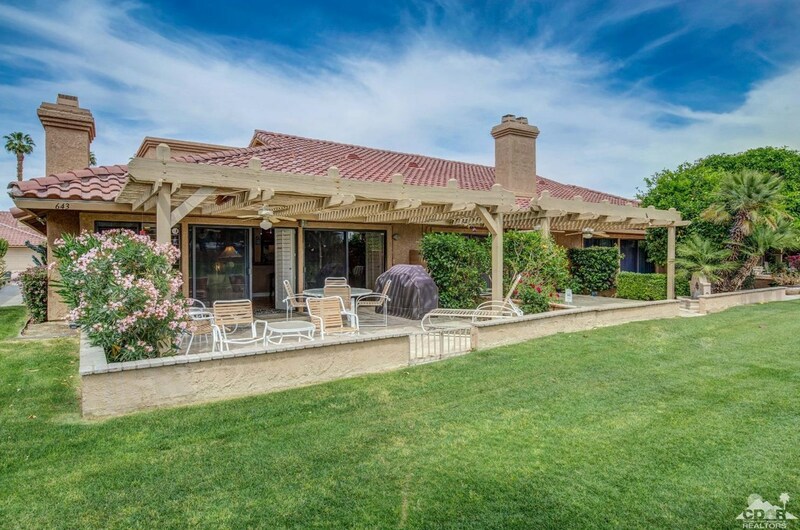 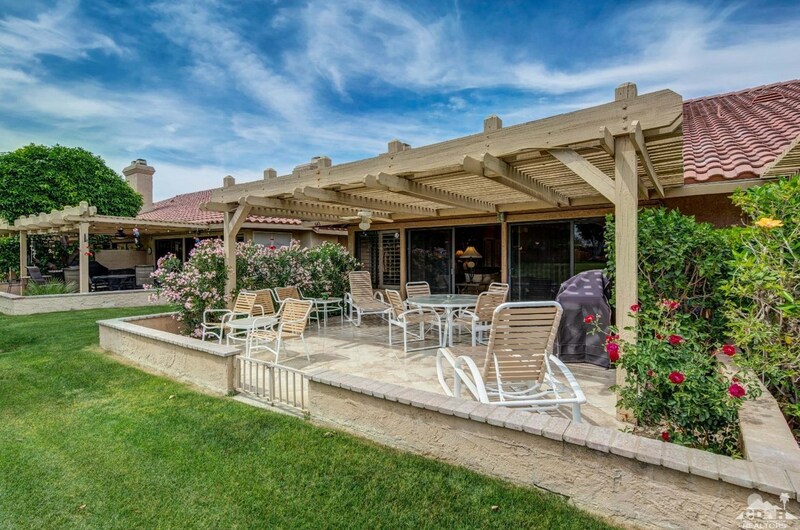 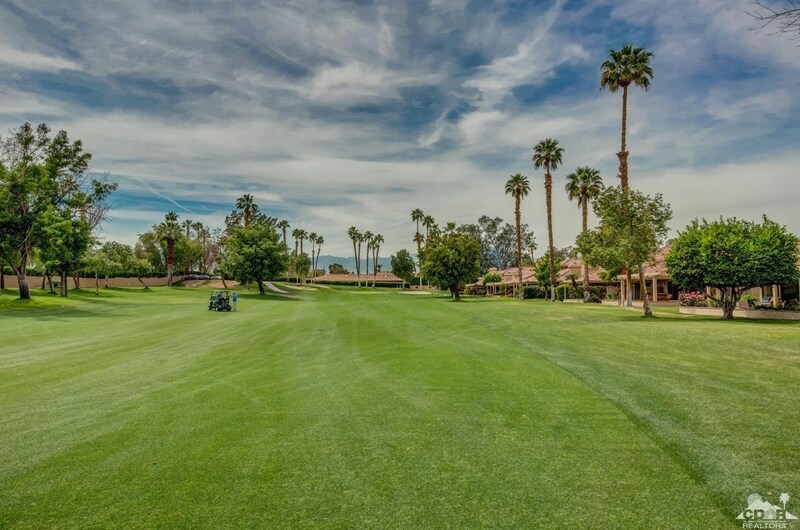 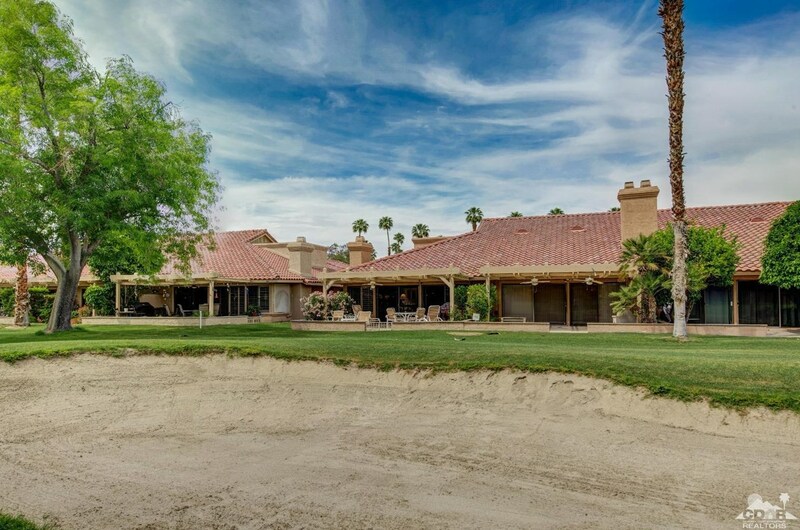 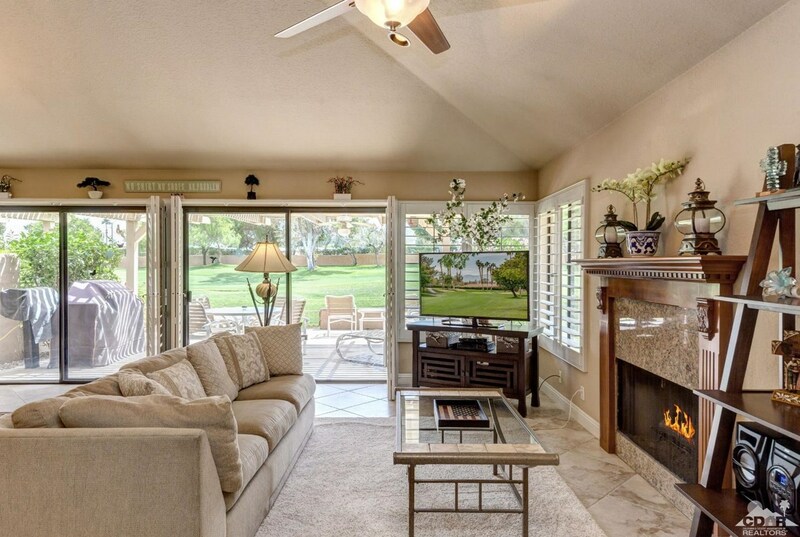 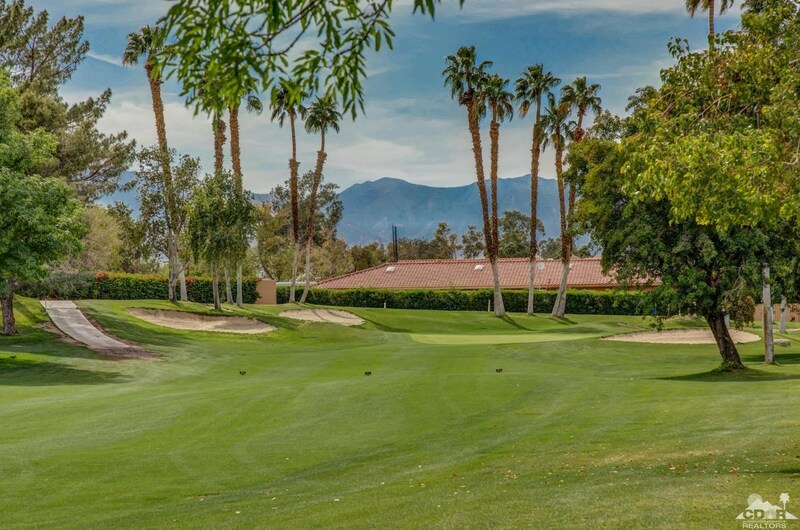 Welcome home to Woodhaven Country Club, one of the desert's exclusive golf communities, with many additional amenities. 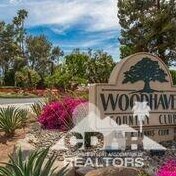 This desirable end unit two bedroom, two full bath condo is being offered furnished and ready to move in. 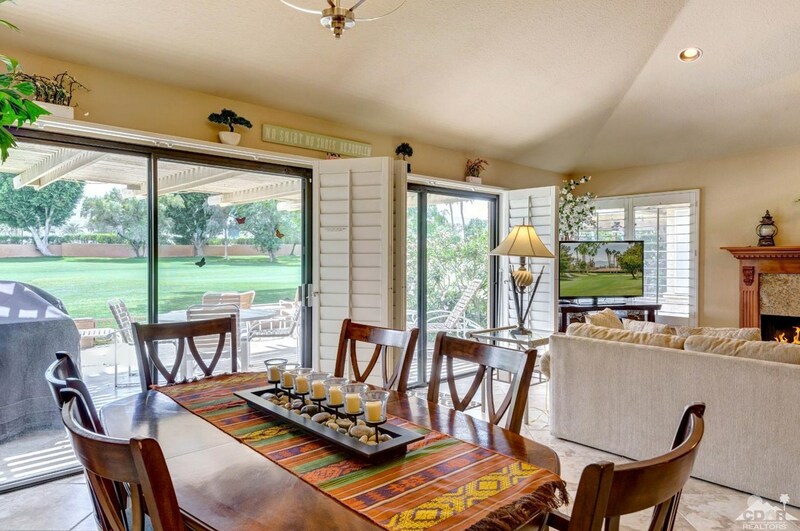 Upgrades throughout the interior, including plantation shutters, 18-inch tile flooring, upgraded kitchen and baths. 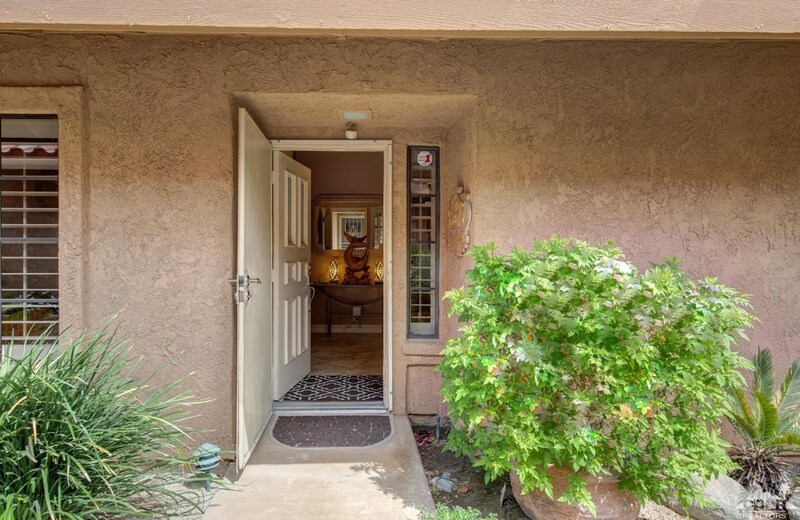 There is direct access to the home from the two car attached garage. 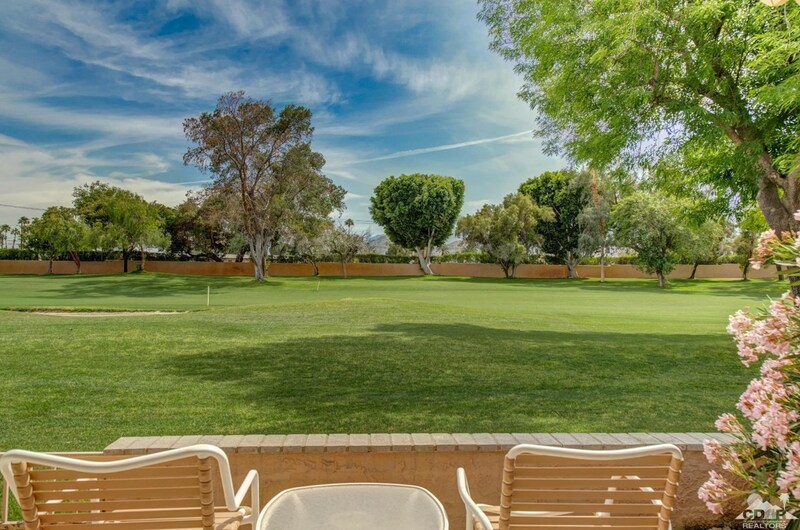 Sweeping fairway golf course views from the covered, tile patio. 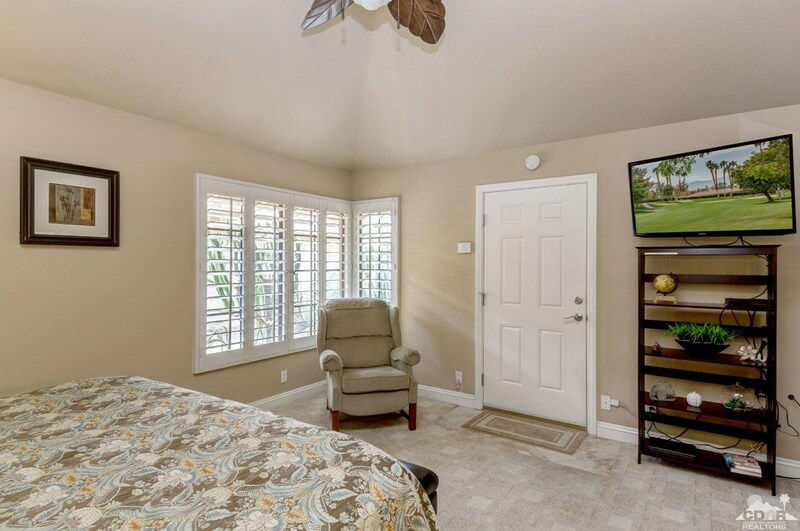 Newer AC replaced two years ago with smart thermostat features. 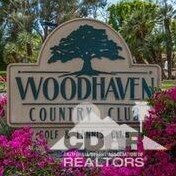 Woodhaven Country Club is an equity owned club. 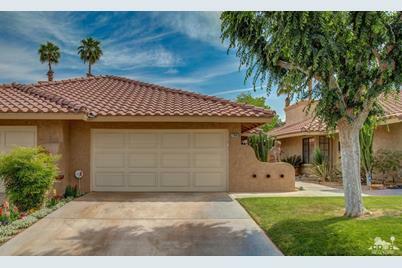 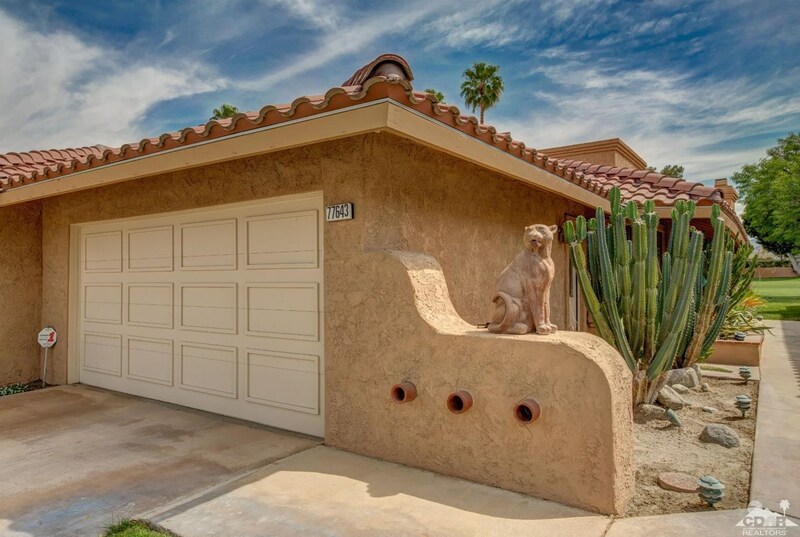 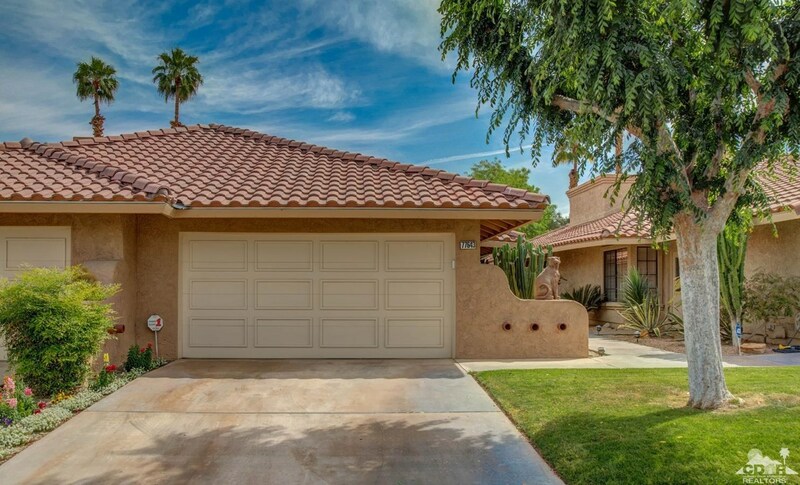 Great location with easy freeway access and convenient to shopping, dining and the world class Indian Wells Tennis Gardens. 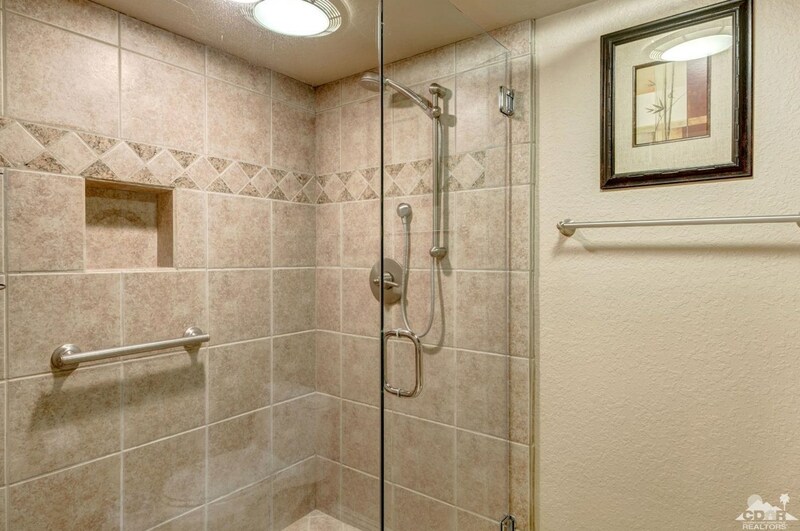 This property would make a great full time residence, second home, or investment property. 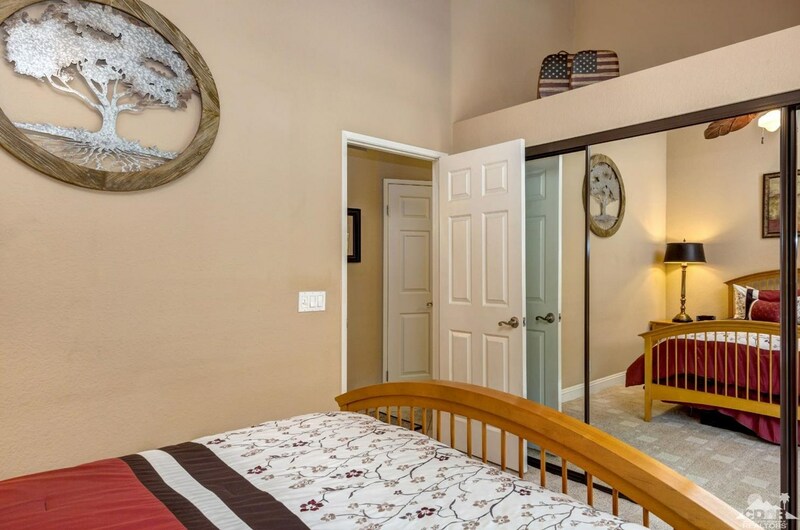 Exclusions: Second bedroom set, TV stand, dolphin art work at entry way and other miscellaneous seller exclusions. 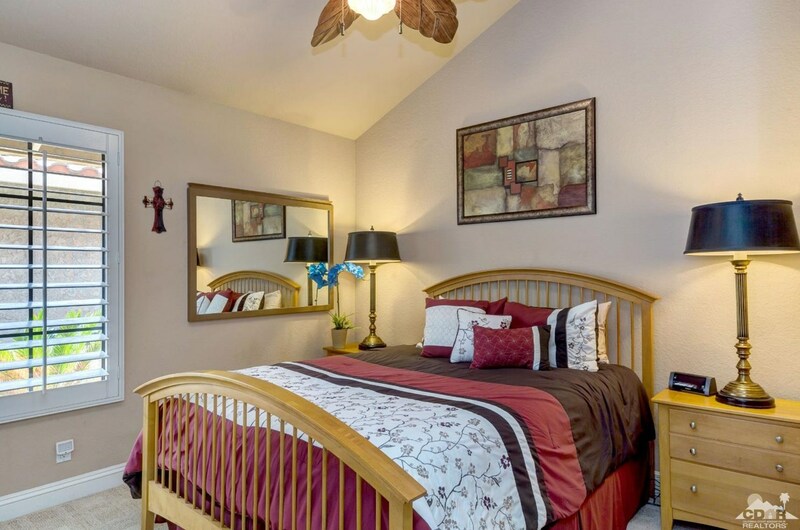 Inclusions: All appliances and other furnishings and dishes, towels and linens. 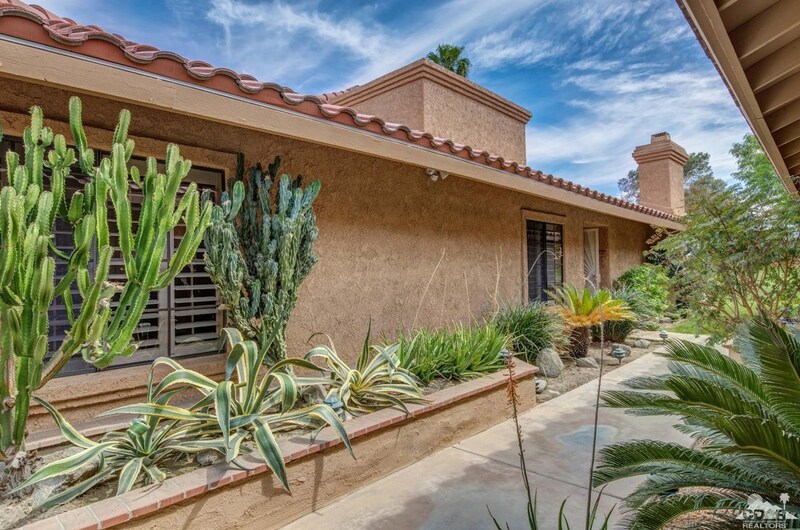 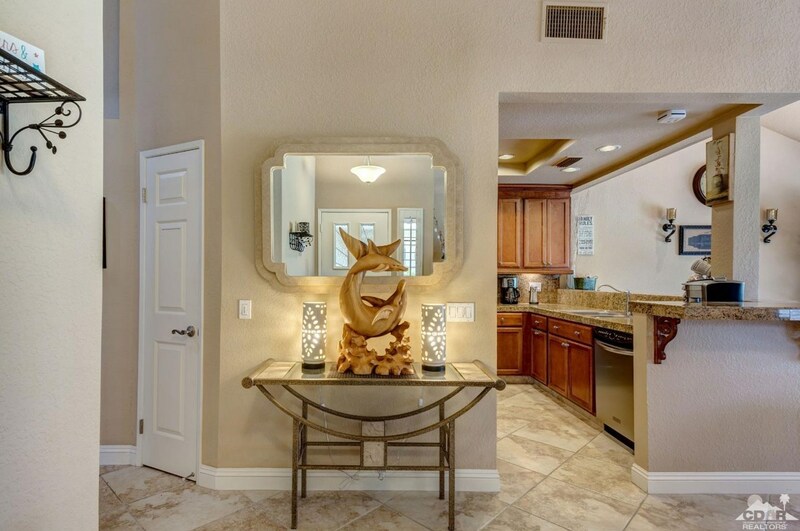 77643 Woodhaven Drive South, Palm Desert, CA 92211 (MLS# 219011295) is a Condo / Townhouse property with 2 bedrooms and 2 full bathrooms. 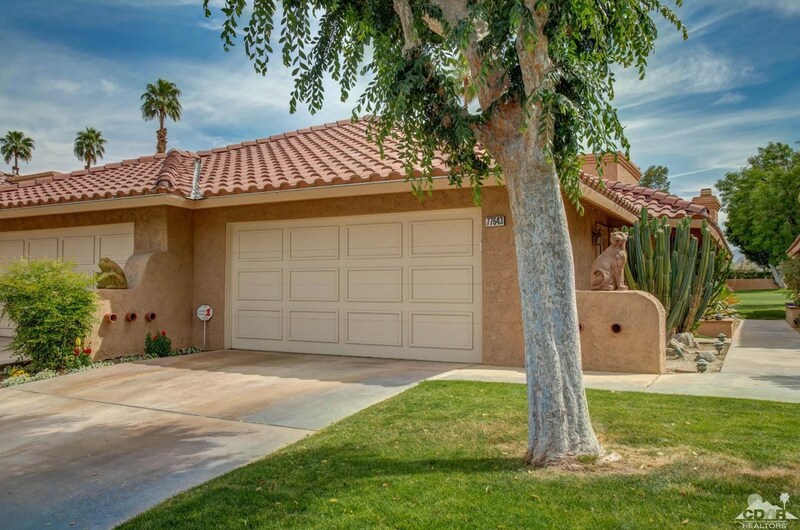 77643 Woodhaven Drive South is currently listed for $274,000 and was received on April 16, 2019. 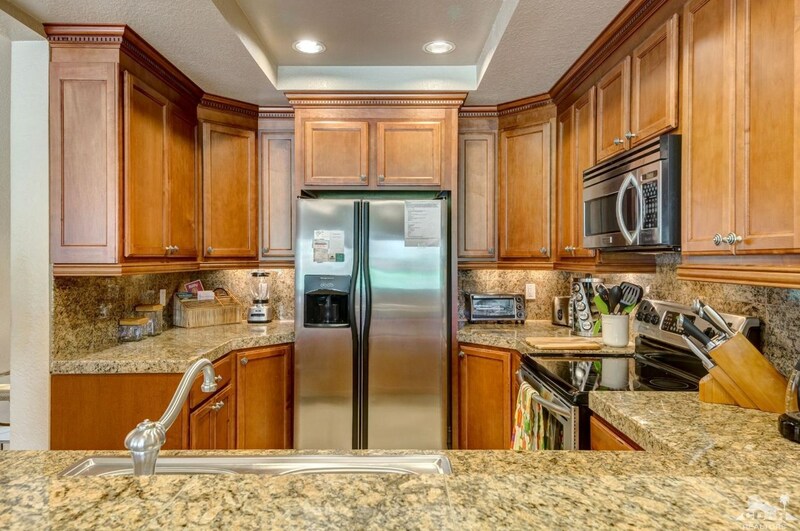 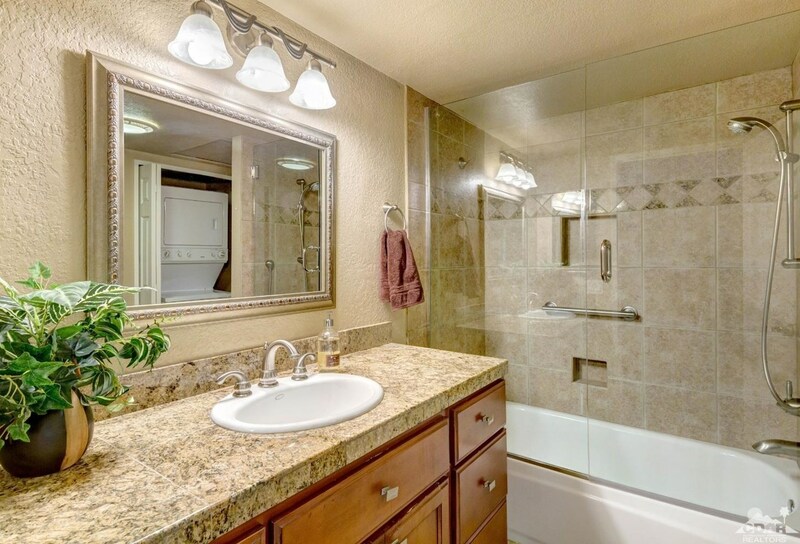 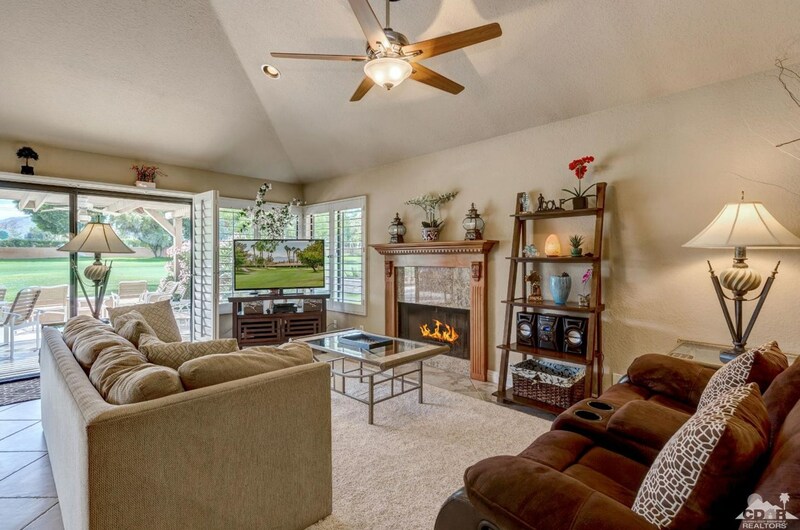 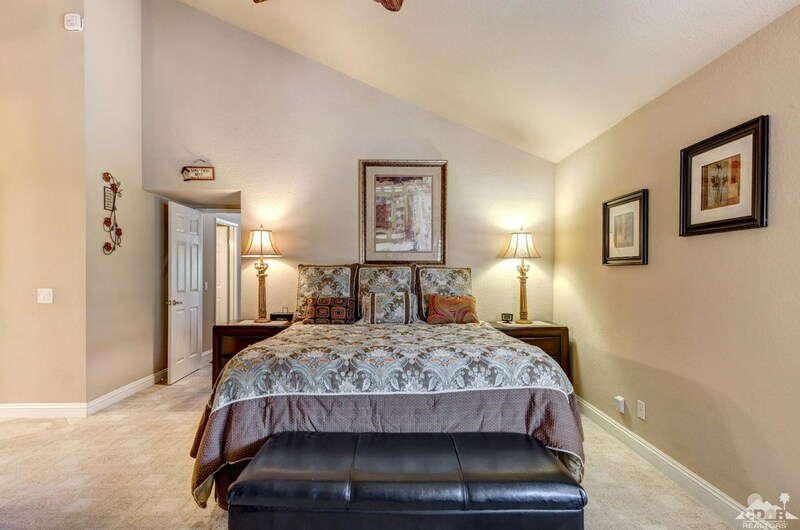 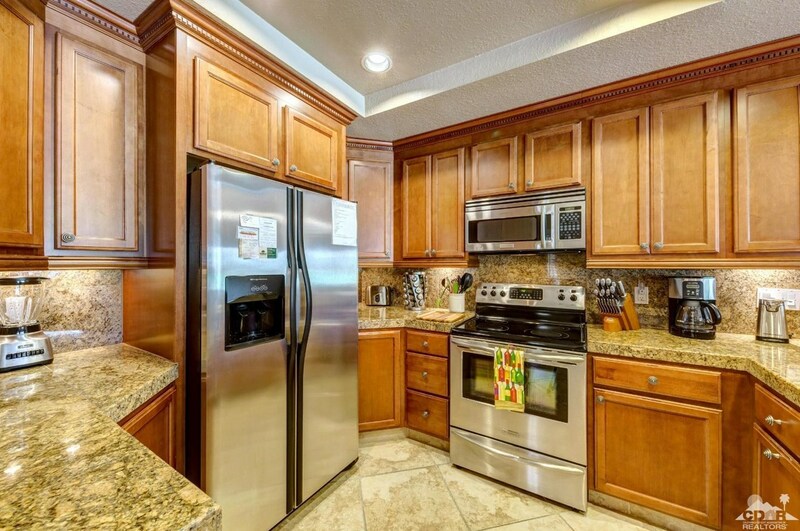 Want to learn more about 77643 Woodhaven Drive South? 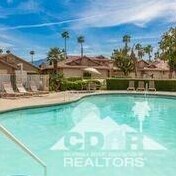 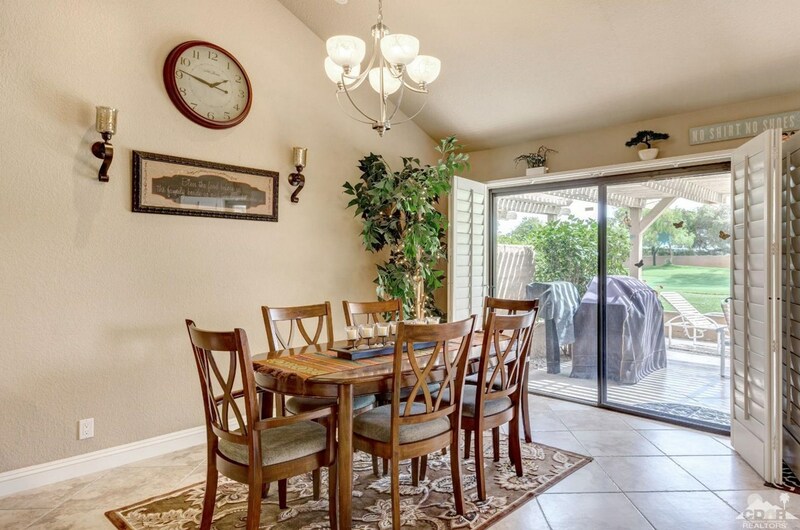 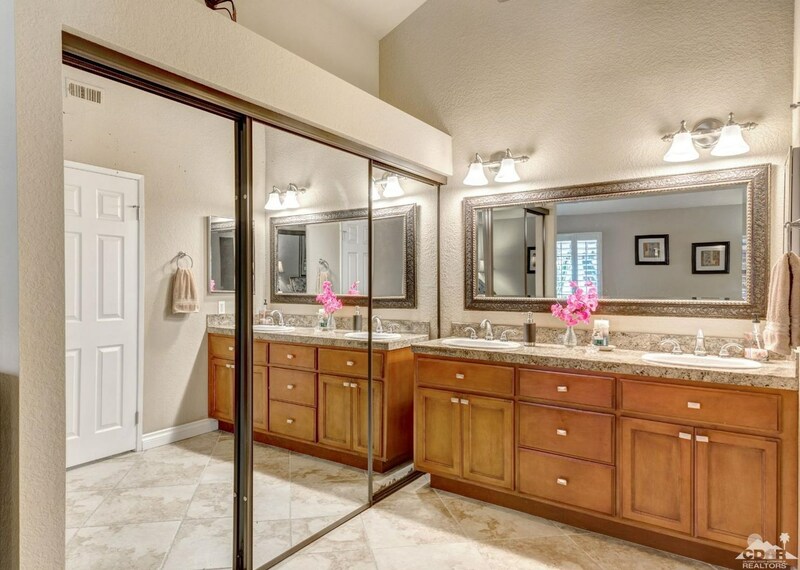 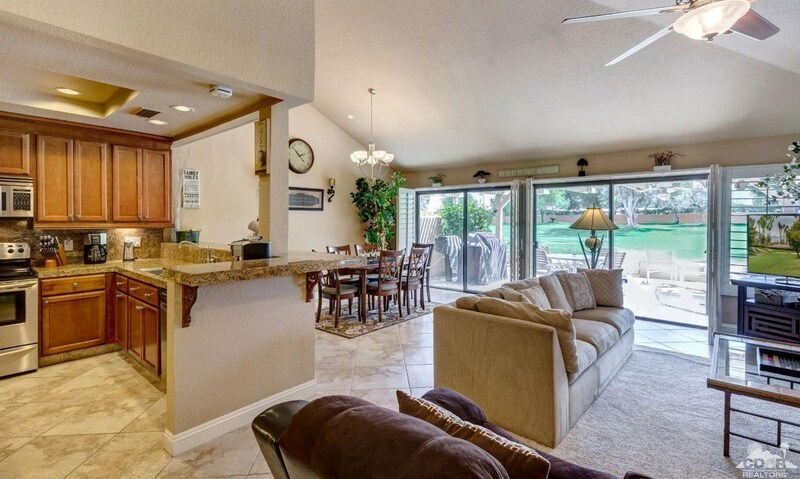 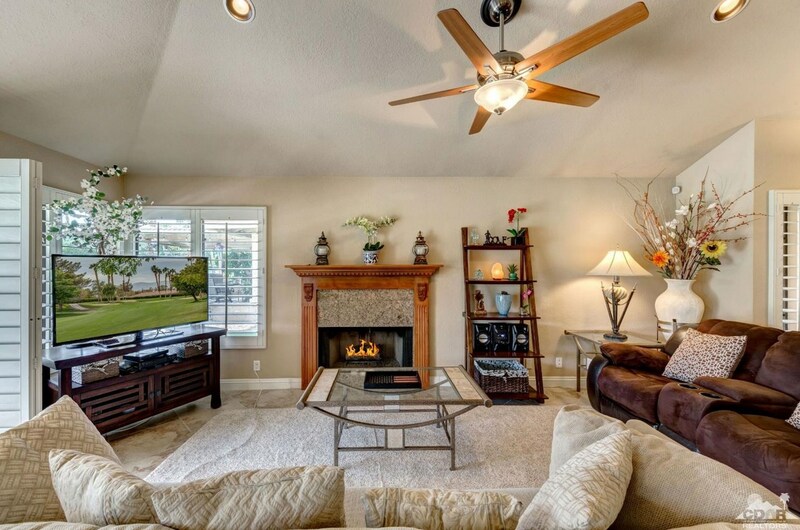 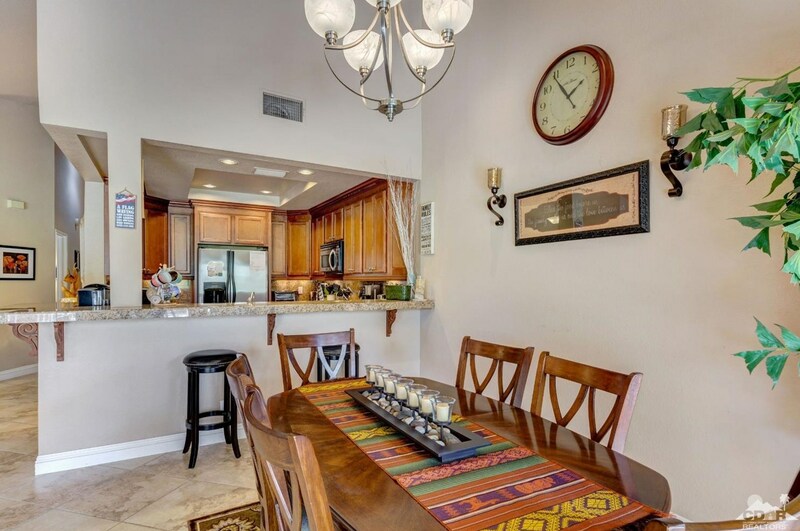 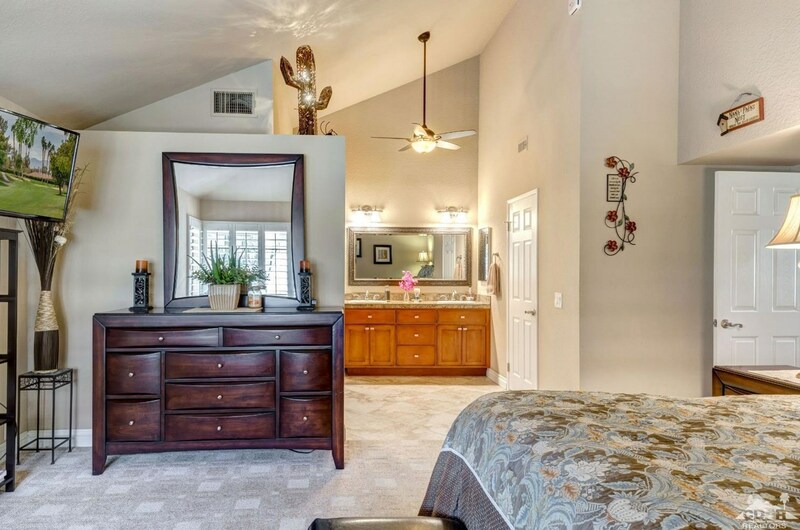 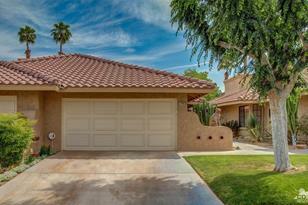 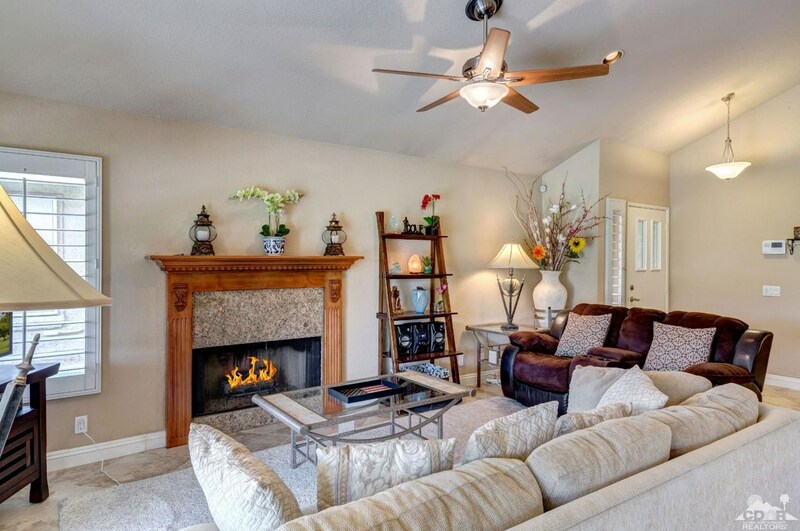 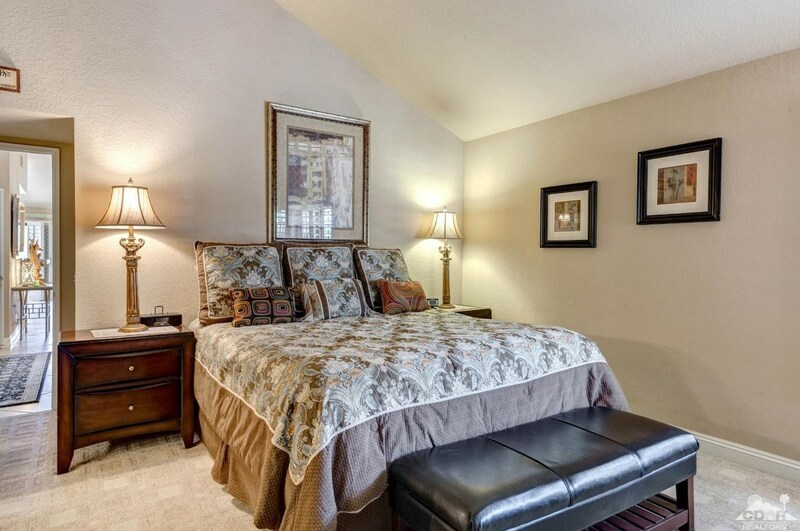 Do you have questions about finding other Condo / Townhouse real estate for sale in Palm Desert? 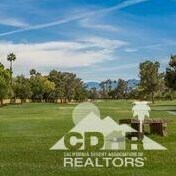 You can browse all Palm Desert real estate or contact a Coldwell Banker agent to request more information.